FACT CHECK: Did Alexandria Ocasio-Cortez Say We Need to 'Invent Technology That's Never Been Invented'? 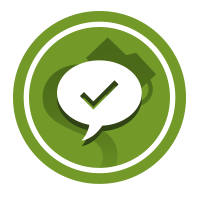 Representative-elect Ocasio-Cortez made the comment during a speech about environmentally sound new jobs. 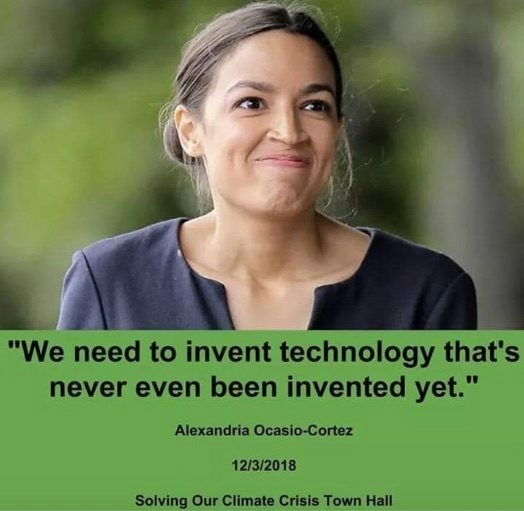 Representative-elect Ocasio-Cortez said "we need to invent technology that's never even been invented yet." Although it’s true that Ocasio-Cortez, who represents the New York boroughs of the Bronx and Queens in the U.S. House of Representatives as of January 2019, did say those words during a speech, the remark was offered without context. Representative-elect Alexandria Ocasio-Cortez is pitching a “Green New Deal” that she says would overhaul U.S. energy use, reduce carbon emissions and create new jobs. Although the sentence seems awkwardly worded when considered alone, its meaning in the context of discussing the creation of jobs through the pioneering of new, environmentally-friendly technologies was reasonably clear. A number of quotes have been misleadingly attributed to Ocasio-Cortez, so it’s understandable why readers questioned whether or not she had made this particular statement. In early December 2018, remarks made by President Donald Trump about his having a “very good brain” were tied to her via a meme. In August 2018, another meme falsely suggested that Ocasio-Cortez made a statement revealing she didn’t know the difference between billions and trillions. At 29, Ocasio-Cortez is the youngest woman in U.S. history to be elected to Congress. She’s an outspoken progressive who comes from a working class background, and perhaps because of these differences she’s often the target of belittling rhetoric — from a spate of articles mocking her inability to afford rent in Washington, D.C., to critiquing her clothing choices. The Washington Post. 15 November 2018.